I had some... issues with phpmyadmin. This was a good oportunity to look for an alternative. After trying out some options, luckily I found the Adminer. Adminer is an efficient database manager tool that promises better user experience, support to Mysql features, performance and security than PhpMyAdmin. This is as simple as possible. Just download a single php file and put into your document root folder and access! After the authentication, you can manage your databases. That's it! No annoying configurations. The default design is not exactly beautiful. So, you can download an adminer.css file from the website - after choose your prefered option - and put it next to your adminer.php file to see the magic! as i am not a great fan of these tools, i would like to point out some alternatives. Sequel Pro if you are using a mac or HeidiSQL on windows (with wine on mac and linux too) or multi platform MySQL Workbench. These tools are available for free and offer all the functionality you need. 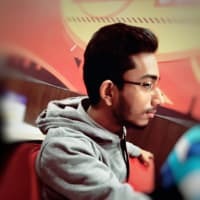 You can use SSH connections to connect to remote hosts and you wont compromise your server (or dev machine) when there is a security issue. I agree. There is most powerfull tools. I am not using Adminer on production. I like Adminer so much just because it's a single file with all resources I need. And nothing wrong with it. I wanted to add a word of caution because i've seen these things in production myself. And it didn't end well. So if it works for you great ;) And i can totally relate to a configuration fatigue. The easier a tool is to use the better for us! Wait PhpMyAdmin is not simple? I think by using it for so long I got used to it. I didn't say PhpMyAdmin is not simple. I just show a very(dont need to install) simple alternative. Adminer is way simpler indeed, but because it removes many the functionalities and settings, but is more versatile. Anyway I use and recommend using docker for development environments, for many obvious reasons. So simple to get it working. I use it with postgresql and I just love it.